The new album sounds a lot like "With Teeth" part 2. "Year Zero" is a very consistent album that has a good flow that makes for a good listen from end to end. Something "With Teeth" didn't as it wasn't as consistent. "With Teeth" however had slightly better songs. "Year Zero" has better "fillers" if you will. Or fillers that fits better in with the flow. Also to note is the omission of really aggressive songs on "Year Zero". Most of the songs are fairly laidback compared to older explosions of aggression. A problem with Trent's music in recent years has been that he doesn't sound as angry or desperate or scared or hateful. While this may be good on a personal level it also means that the quality of the newer NIN records doesn't reach the quality of the 2 masterpieces "The Downward Spiral" and "Broken". The songs that stand out most on "Year Zero" are "Survivalism" and "Capital G". They both have obvious single potential. But there is a lot of great industrial electro rock'n'roll to enjoy all over the album. can't seem to shut her legs our mother nature is a whore"
Not a bad album at all. Not a masterpiece by NIN standards. But not far from being one. Funny how things change over time. 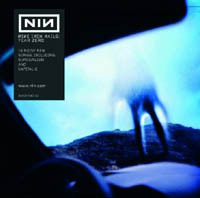 Today, more than 2 years after the initial release of Year Zero, it is one of my favourite NIN albums. I no longer agree with many of the sentences I wrote above, and I am happy to admit that I was wrong. Year Zero is brilliant and a very important Nine Inch Nails album.